Stylish appeal of contemporary kitchen products is catching on fast. People who previously thought minimalist meant ‘less value for money’ are learning that the opposite is true with an ASKO CC4927S Concealed Rangehood. With this simple appliance addition there is less cleaning, less clutter, less energy waste and less heat in the kitchen. Sometimes less really is more, especially if it means cooking can be performed faster with superior results. The CC4927S Rangehood is 86 cm of extraction power encased seamlessly in highest quality stainless steel for minimalism at its showy best. The evolution of Australian kitchens has resulted in rangehoods becoming an initial kitchen consideration prior to renovation or remodelling. At 86 cm wide, the CC4927S is popular with dedicated chefs who appreciate larger ovens and cooktops. The ASKO appliance range is vast, ensuring kitchen design specifics for colour, materials and style can all be easily accommodated, resulting in harmonious, seamless lines noticeable in modern homes. There has never been a more exciting time to expand home kitchen productivity and variety, especially when using ASKO appliances that help do the work for you. What type of kitchen needs a concealed rangehood? Home cooking has been challenged for decades. The prevalence of cheap takeaways and convenient fast food meant family meals took a back seat in many homes. Things needed to change fast, particularly kitchen appliances that were left behind by technology. Fortunately, ASKO appliance development has continued unabated for decades, including innovative measures to incorporate the best cutting-edge technology. Today’s modern kitchens hardly resemble their counterparts of yesteryear, as sleek, seamless and intelligent appliances replace clunky, outmoded kitchen hazards. Rangehoods are an integral part of modern kitchen makeovers, and knowing which style to purchase is the first consideration. Here are a few available rangehood options. Concealed Rangehoods: As the name implies, concealed rangehoods are hidden within existing cabinetry for uninterrupted kitchen flow. 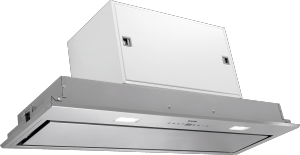 The motor and exhaust fan are internally housed for quiet efficiency, while all ASKO concealed rangehoods are built to exacting specifications for complete integration with Australian kitchens. Canopy Rangehoods: These rangehoods are commonly noticed in restaurants, takeaways and commercial establishments requiring powerful extraction. ASKO canopy rangehoods provide restaurant level efficiency in household kitchens where entertaining remains a priority that is easily satisfied with ASKO functionality and style. Slideout Rangehoods: Slideout rangehoods are retracted and easily concealed when not in use. A sense of spaciousness is important for kitchen comfort, and using multifunctional appliances that save space is an effective way to increase culinary output without overheating. The addition of an ASKO slideout rangehood will keep the kitchen cool and breezy, allowing you to look fresh when guests start arriving. 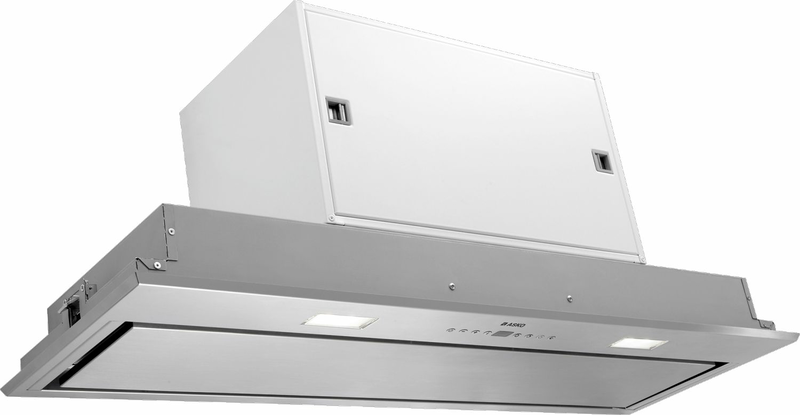 What are the ASKO CC4927S Concealed Rangehood advantages? · ASKO durability and long-lasting performance. Every ASKO appliance component is built purposefully, with environmental sustainability in mind. All major ASKO parts are fully recyclable wherever possible, while seamless construction and a polished finish allows the CC4927S to appear right at home in the best contemporary Australian kitchens. Consumers expect built-in household appliances to stand the test of time – a trait embodied since 1950 when the idea for ASKO was born. Don’t rangehoods just attract grease and grime? On the contrary, rangehoods extract grease, grime and other airborne pollutants, leaving the kitchen clean and cool. The ASKO CC4927S Concealed Rangehood can be programmed and timed to adjust exhaust power and duration using higher speed settings for steamy wok-style cooking and lower speeds to counteract general oven fumes. The CC4927S keeps the kitchen clean while hardly requiring any maintenance. The dishwasher-safe filters are easily removed and replaced, while the attractive rangehood housing is kept looking its best with non-invasive wipes, light cleansers and an occasional metal polish to bring out the glossy sheen. ASKO designers place equal importance on form and function, resulting in appliances that are long-lasting, energy efficient and always look their best even while working at maximum capacity.